The XENYX 802 is a compact 8-channel audio mixer that features 2 microphone inputs and 6 line level inputs. Inputs 3/4 and 5/6 are stereo paired for use with keyboards, player/recorders and other stereo devices. An additional stereo I/O is provided for connecting Tape and CD devices. 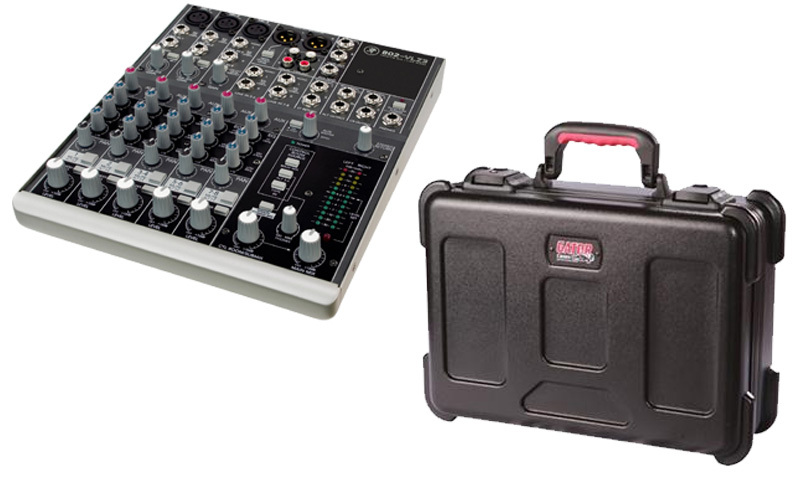 The compact 802 is well suited for project recording, home video editing, small PA systems and more. In a hard shell case with a power supply.